After preparing to turn the corner on a 2015 full of achievements culminating with the extraordinary victory at the FIM World Enduro Championship, Suomy Motorsport presents its new 2016 motorcycle helmets collection. Featuring a variety of new unique, distinguishable, and incomparable graphics, our new inventory of competition and urban helmets are designed to better meet seasonal trends and offer every biker a wide range of graphic solutions. 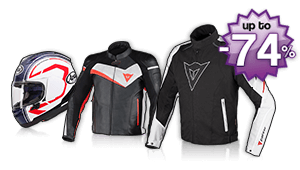 In its renewed version, the high-impact asymmetrical motifs featured in the SR Sport model still surprises; the superlight Mx Tourer, with its minimalist colored stripes, and the sparkling Jet 70’s, with its precious 100% Italian materials, like carbon and Kevlar, are designed for the most demanding urban bikers and scooter riders. Skulls, pistols, bullets and game cards on a fluorescent background continue to be SUOMY’s winning formula. The SUOMY factory is continuously in production and remains steadfastly committed to creating new leading products for its catalog, now in its final production phase. Recent personnel changes, which ushered in professionals who breathe and live the two wheels, allowed us to further grow. Our newly strengthened technical area will continue to develop projects without pause, and collect a valuable data flow from the competition world. These data will allow us to design new products, single components, and spare parts that make a helmet last a lifetime. As tradition wants, competitions brought us much luster: the reborn Desmosedici of Andrea Dovizioso in the MotoGP, the new star Alex Rins, who, at his debut in Moto2 competition was able to keep up with other category champions, the important results of many Suomy spokesmen in the Superbike World Championships and national championships, even the less fortunate Kevin Strijbos, who, at least prior to his injury, was always a leader in the MXGP, and, last but not least, Eero Remes and his victory in the Enduro World Championship. This year too, like all previous years, we will pursue projects and leverage talents to reach Suomy’s objectives. Our company has in its DNA the passion, enthusiasm, and skills needed to create and renew what is, and will forever be, its distinctive element: 100% sportsmanship.